The podcast is back! And we have an all new name and logo! BERKEY GIVEAWAY!!! 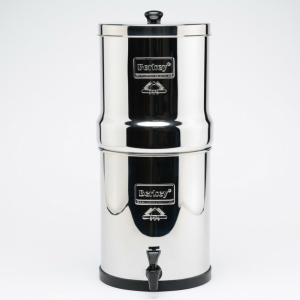 Stay tuned to the podcast to find out how to win your very own Berkey water filter! On today’s podcast, we dive right in and hit the most controversial topics: politics and racism. Plus, we discuss the Flat Earth Theory. Obviously the Earth is round… or is it?!?! (It’s round). Jake and special guest Matt D’Lando discuss some of the hurdles our country is going through with the constant natural disasters around the world including the most recent topic of helping Puerto Rico after hurricane Maria. Is Donald Trump doing enough to rush to the aid of our brothers and sisters in the Caribbean? Or is he dropping the ball on a no-brainer decision? We also dive into the meaning of ‘white racism’. Is there such a thing, or is it something else? Content writer PJ shares his breaking news headlines and dives deeper on the Flat Earth Theory and why we shouldn’t just assume the Earth is round. How can we get help to Puerto Rico faster? Is there such thing as ‘white racism’? Is the Earth a hexagon? Hey Buddy!, I found this information for you: "The Jake Carney Show – Episode 1: FREE Berkey Giveaway". Here is the website link: https://www.thealternativedaily.com/podcast-jake-carney-show-episode-1. Thank you.